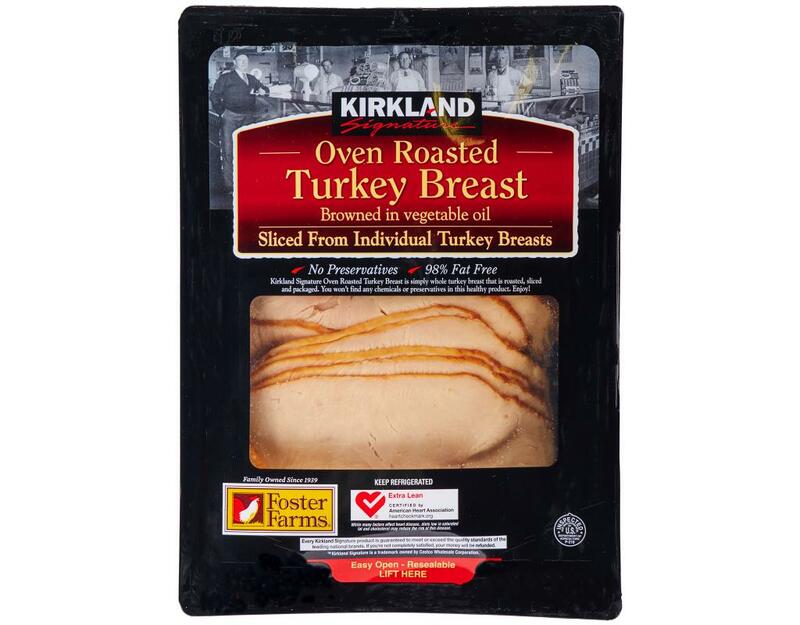 Kirkland Signature Oven Roasted Turkey Breast is simply whole turkey breast that is roasted, sliced and packaged. 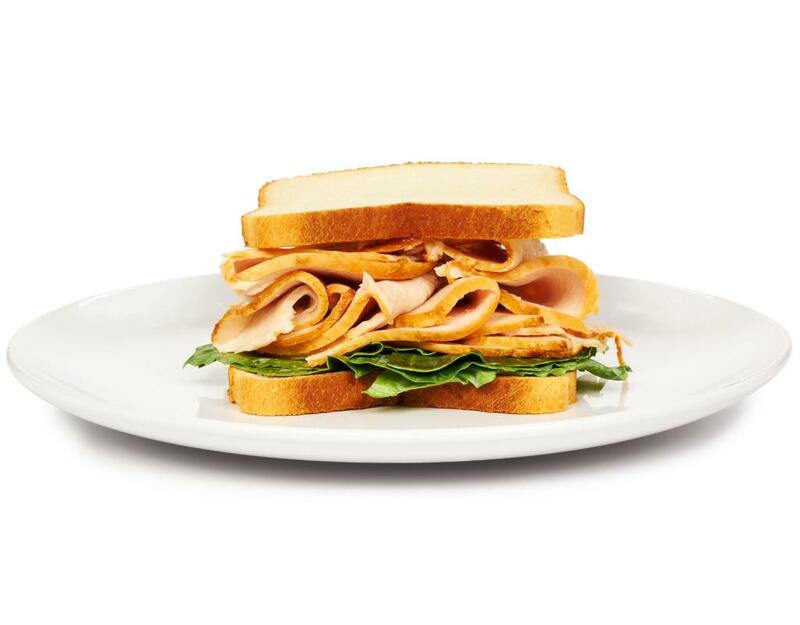 Extra lean, 98% fat free; the simple choice for a healthy lunch sandwich. 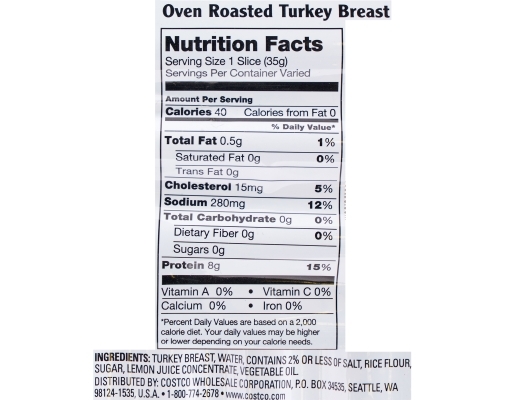 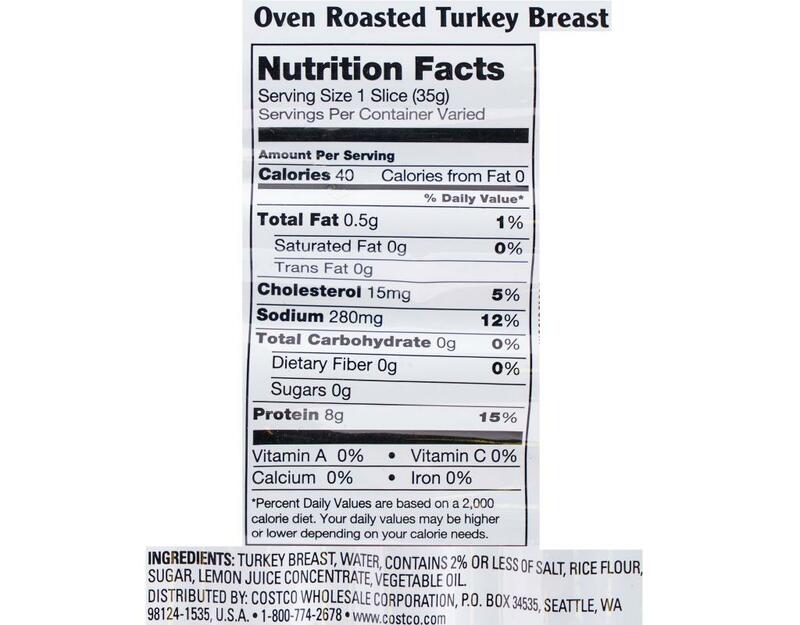 Turkey Breast, Water, Contains 2% or less of Salt, Rice Flour, Sugar, Lemon Juice Concentrate, Vegetable Oil.